We were in Madrid at the end of August, 2014…still vacation time for most of the city, so our restaurant choices were somewhat limited. The concierge at the Westin Palace Hotel, where we stayed for 3 nights in Madrid, suggested Ten Con Ten. We were told that despite this being the place where all the so-called “beautiful people” hang out, it is a legitimate foodie destination. We sat down at our table, were greeted gruffly in Spanish by our server, a young woman who clearly disliked us from the start, and were asked if we wanted a drink before ordering dinner. I had vodka on the rocks, served promptly. My wife ordered cava, a sparkling wine, and it was forgotten. However, that didn’t stop 3 separate managers from coming to our table and asking what we wanted to eat…all in a span of 4 minutes, before I even had the chance to take a second sip of my drink. When my wife commented that she’d like to enjoy her drink first (which still hadn’t arrived), they left in a huff. A lovely elderly couple from Denver, at the table next to us, told us that they were completely rushed through their dinner and plates were removed from under them before they even had a chance to finish…like a scene from a bad Chinese restaurant. They complained loudly as they paid their bill, in part I think, to set the stage for us to at least enjoy our dinner at a more leisurely pace. I wish I knew how to get in touch with them to thank them for that! When a fourth manager asked for our order, that’s when we politely said we were hoping to have the table for the night. He rushed off to confer with the reservations chick with the clipboard, and he finally agreed with a sigh that it would be alright. When we told him we had eaten at 2 of the top 10 restaurants in the world, Arzak and Mugaritz in San Sebastián just a few days earlier, I think he finally understood that we were there for the food and not all the posturing. 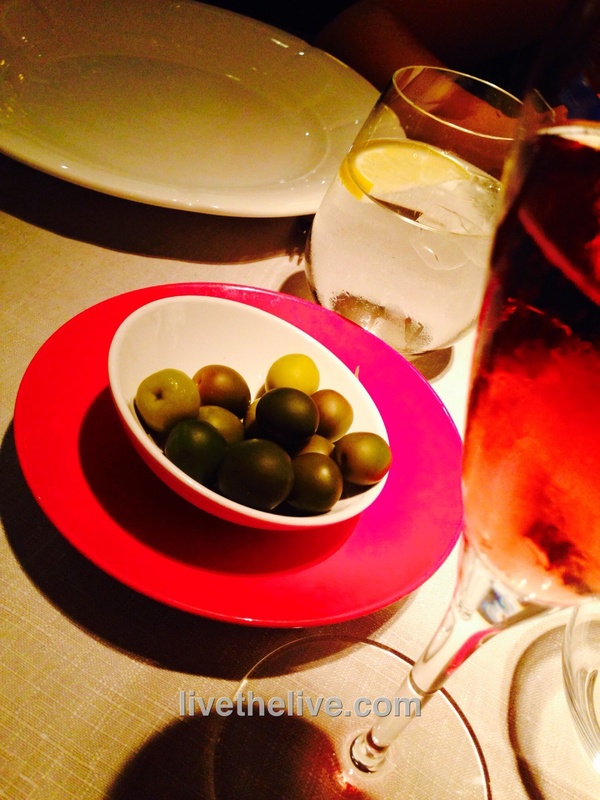 All this was so unlike any dining experience we had in Spain, that it really caught us off guard. But once we established that we were staying and taking our time–kid and all–they relented and started serving us with a different attitude. In fact, the manager that was assigned to us (our grumpy server now relegated to simply clearing our plates) was great, and soon we were able to establish a fun and friendly dialogue with him that really made the evening special. We wanted to try many dishes, but obviously couldn’t eat them all. Our new manager friend specially ordered smaller portions for us. When we couldn’t decide which plates to choose from, we let him do it, much to his delight. A white wine we ordered was not available at the proper temperature, so he chose another for us–excellent. Our bottle of red came from a private stock that wasn’t even on the menu–again, his choice. And when our daughter a hand wrote a small thank-you card to the staff for a wonderful meal, you could’ve knocked them over with a feather. The staffers literally made a receiving line toward the door as we left, shaking our hands and thanking us for dining with them…our manager friend being the very last to say goodbye. The food was excellent and seasonal. The menu changes all the time. We had toro tuna tataki, pasta with a morel sauce (featuring a touch of foie! ), pasta with a sea urchin sauce, veal scallopine, what they call “yellow” fish (it commonly is caught alongside tuna), oxtail hamburgers, and more…and wonderful desserts. Dining in Spain starts at 8PM for the most part, and it was clear in the beginning of our night (we had an 8:30 reservation) that they planned on turning that table over a lot. Our manager friend told us that, despite the fact that the restaurant was already full, the party “really” only started at midnight! So rushing people in and out was the way to make some serious coin for these folks. And he said it got even worse once the vacation season was over and everyone was back to work in Madrid! 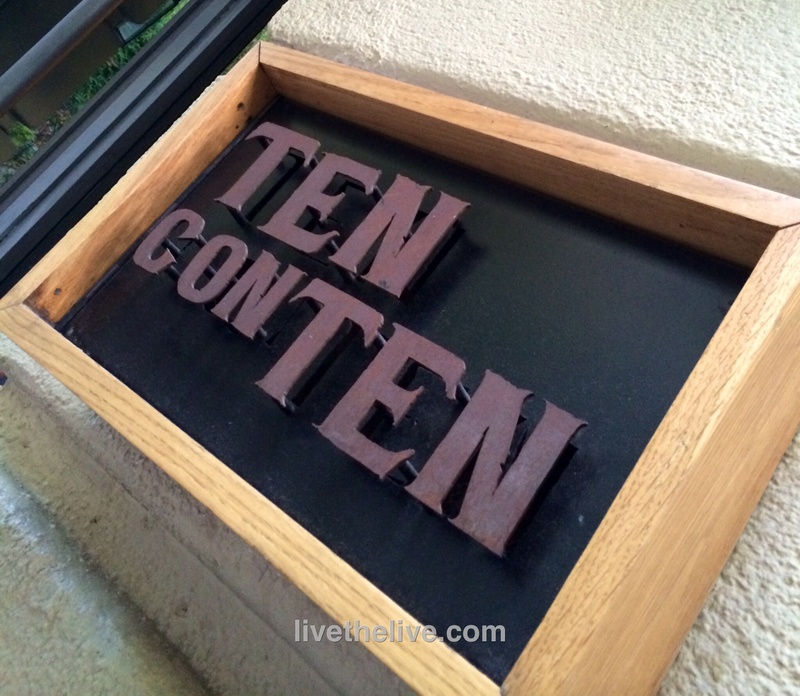 The secret to enjoying Ten Con Ten is to stake your claim: don’t let them push you around. Make it clear that a rushed meal is not acceptable. The staff may grumble at first, but eventually let you have your way. And then… it can be a great experience.